All the humour seems to have been sucked out of marketing these days. With the subtle focus shift over the past few years from gurning executives telling us “our company offers you [service]” to today’s fashion of using photos of everyday folk alongside slogans such as “my [service] does such-and-such for me” everything’s turned really serious. No wonder we aren’t buying anything. Come on guys, where’s the fun? Here, I’ll give you a kick start. 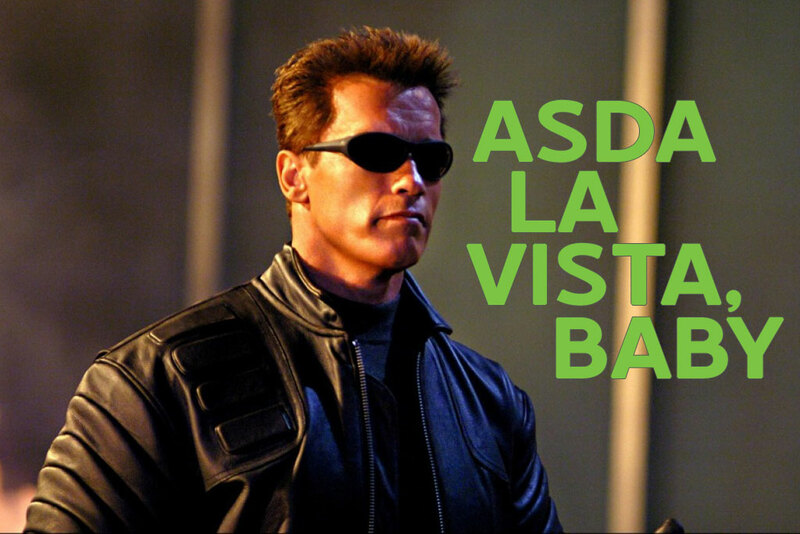 When people leave the Asda supermarket, do you honestly think the bland “Thank you for shopping at Asda” emblazoned over the door will entice people back? No. In fact, a whole world of no. We don’t care about your empty corporate sentiments: they leave us cold. You know what will make us come back? This text nugget was brought to you by Stef Dawson, an award-winning lifeform in categories like oh, him again. I specialise in topics such as Bananas in bandanas; The past; Zombie evolution; and Antimatter. Move along now.